January is the time of year where I focus on resetting and thinking about my goals for the year. For the past four years, I’ve hosted friends over for my annual vision board party. As we put together our boards, we discussed the goals that we want to achieve in the upcoming year. I’m a huge believer in manifesting the life you want to have. Along with putting our vision boards together we also chose a word of the year. The word of the year represents the tone we want to set for ourselves for the year. Choosing a word for 2019 was a little tricky. I had a list of words written down that had come to me at the end of 2018. On my list were the words: flourish, abundance, driven. I also started to think about the goals that I wanted to achieve and how these words laddered up to those. It wasn’t until one Saturday afternoon when I was driving in my SUV and the Tasha Cobbs song “Fill me up” came on my Spotify playlist. 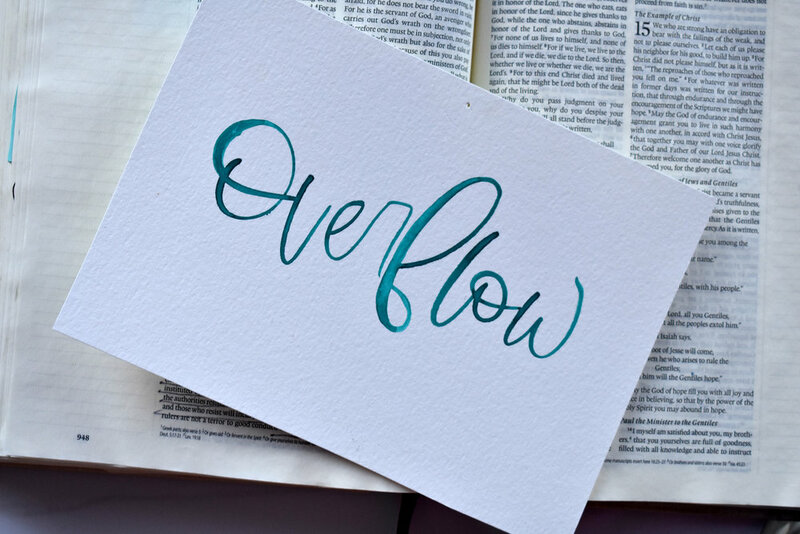 The lyrics say “Fill me up, till I overflow.” At that moment I decided my 2019 word of the year was going to be “Overflow.” This theme of overflow had been coming to me in scripture and devotionals a lot toward the end of 2018. We are meant to live an abundant life filled with overflow and that’s what I want over my life in 2019. Do you pick a word of the year? What’s your word for 2019?